Welcome to Germany and DJ-Finanz ! If you are a foreigner in Germany like myself and not really sure about your health insurance, bank accounts, various bureaucracies such as visa…..
Don’t worry! DJ-Finanz supports more than 1,000 foreigners in Germany who are from all over the world. We are an international team with high expertise – we advise you on insurances and investment scheme to make your life in Germany easier. DJ-Finanz is an independent consulting- and insurance brokerage company. We choose most suitable plans from any insurance companies and banks for you and your family. Property Insurance – liability insurance, contents insurance etc. Life Insurance – term life insurance, disability insurance etc. N26: must-have smart bank in Europe ! N26 Bank is mobile bank account optimised for smartphone. free ! with free debit MasterCard stylish and lots more This is the must-have bank account if you live in Europe. I’m going to explain why. Hi, my name is Shigeyoshi Yamakata. I’m a certified insurance broker and investment advisor. I moved to Germany from Japan in 1998. I have experiences in finance and insurance area for more than 10 years, in addition to various intercultural as well as NGO projects. My team and I are more than happy to support your life in Germany. 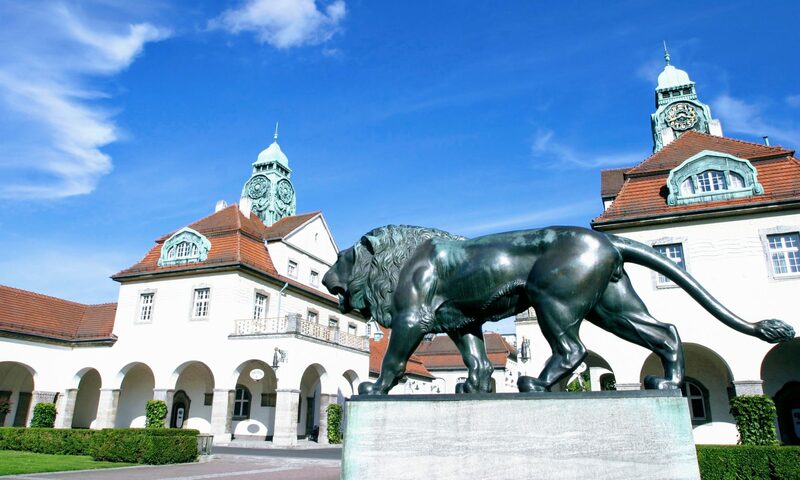 Our office locates in a beautiful spa town called Bad Nauheim, 40km north of Frankfurt. The town is known for europe’s biggest art nouveau style hot spring buildings (see photos). The town is worth a visit, but of course we provide customers far from Frankfurt with remote services via skype, telephone and e-mails. best price health insurance: students and Working Holiday from 28€/m, travelers to europe from 30€, expats and stay in europe up to 5 years from 58€. Copyright © DJ-Fianz All Rights Reserved.